I suggest a cottage in a country house, fully equipped, in a natural setting between countryside and mountains, at the foot of the Vercors, Rhône-Alpes Region. || || It has 2 large bedrooms and 6 beds. || || visiting sites of possibility, caves and picturesque village. || || Located on the GR9, 15 km from a family ski resort (Font D&#39;urle Chaud Clapier). || || Peaceful. charming house in the village of St Agnan in Vercors, in the heart of the "Parc Naturel Régional du Vercors". Bakery, grocery, doctor, restaurant 200 m on the village square, pharmacy and other shops 4 km to La Chapelle en Vercors. insured peace and quiet. Many activities full nature in summer and winter in the area. Near the Col du Rousset and Villars de Lans. The cottage allows the discovery of the region. Our house (100 m²) is designed for your comfort, it has 5 rooms including 3 bedrooms: 1 with 1 bed 160 and shower room, 1 with a 140 bed, 1 with 2 beds 90. A large separate shower room, 2 WC. A large living room. Village house in excellent condition, in the heart of the Vercors Natural Park. Ideal for lovers of the middle mountain. Quiet, in the center of the village of Vassieux, close to shops. Possibility of many activities (hiking, mountain biking, horse riding, swimming in 10 min, tree climbing, golf 10 min, mushroom picking and wild berries according to season, ULM, paragliding, climbing). In winter: cross-country skiing, snowshoeing, dog sledding on site and skiing at 9 km (stations of Urle and Col de Rousset). Large ski resorts 35 minutes away (Villard-de-Lans, Autrans, Méaudre). Maison meuble très propre avec jardin. Room of 22 m2 and 15 m2, in a large country house with parking. common areas: kitchen, laundry room, living room with home cinema, music room (piano, guitar and drums). With a very large garden. 10 minutes from the TGV station and 5 minutes from the toll of Grenoble. Bus nearby. On the Vercors plateau, on the ground floor of our cottage, you first enjoy the tranquility of the terrace and the magnificent view and offers exclusive hikes and breathtaking sites. You will also appreciate the Vercouline (raclette blue Vercors) and ravioli. Garage for bicycles, skis. Toys for children. At disposal: everything needed for babies and small children: bed, highchair, booster seat, bath, pushchair. On the Vercors plateau, between the Gorges de la Bourne, the bottlenecks and the plateau of Herbouilly, the cottage is ideally placed to enjoy the joys of the mountains. Located on the ground floor of our house, in the atmosphere of a mountain chalet, the superb view of the Vernaison valley and the tranquility promise a beautiful holiday. To leave the peace of mind, the flower garden is closed, beds made on arrival and towels provided. Around the cottage you can hike in the Vercors, to discover the waterfall Moulin Marquis, high plateaus (Grand Veymont, plain Queyrie, large cabin ...), ride your bike. The apartment is in the south of Montelimar, it is 5 minutes from the city center of Montelimar by car. This apartment is located on the 4th floor of a building in a fairly quiet private condominium. It has a view of one side of the Drôme and the other on the hills of the Ardèche. The bed is a sofa bed 2 places. Possibility to use the kitchen for your meals. The bathroom consists of a shower and a sink, both separate toilet. You have a WiFi internet connection or directly on my computer if needed, a place to park the car. I could tell you bathing in rivers over the summer and what to see in Drôme. We rent a small room (9 m²) very functional in our villa, on the ground floor. With a 90 cm bed, desk and armchair, armchair, large closet. Attached shower room (washbasin) can be totally private. Ideal for young adults in alternating training (can be booked and guaranteed from one month to another at no extra cost for non-busy period). Shared kitchen, private dining area in the veranda (photos). Laundry (access to washing machine, dryer). Internet connection. Proximity to public transport, parking in front of the house. Possible bike (spaces in the basement). 5 minutes walk from the LGM. A room to rent in a house, in a quiet residence close to public transport. With views of the Belledonne. At a 1/2 hour of the ski resort Les Sept Laux. Desideri trovare una locazione a Bouvante ? Bouvante è un'affascinante città situata in Francia. Con Roomlala, gli abitanti Bouvante sono felici di accoglierti, poco importa la ragione della tua locazione (turismo, viaggio, lavoro, stage, studi, ecc.). Il sito è a tua disposizione per aiutarti a trovare una locazione arredata a Bouvante o una camera presso l'abitante a Bouvante. Quale é la differenza? Affittando una camera presso l'abitante, affitti principalmente una staza, nell'alloggio di un abitante di Bouvante. Trovare una locazione arredata a Bouvante equivale ad affittare un monolocale, un appartamento o una casa in cui il proprietario non vive. In entrambi i casi, le locazioni offrono servizi obbligatori. Grazie a Roomlala, puoi trovare un coinquilino o dei coinquilini a Bouvante. Se hai già trovato un alloggio (casa, appartamento), puoi semplicemente publicare un annuncio gratuito per cercare i tuoi futuri coinquilini. Se non hai ancora un alloggio o dei coinquilini, puoi trovare una coabitazione a Bouvante, nel quartiere che più Bouvante ti piace, per brevi o lunghi periodi (camera in affitto al mese, all'anno). 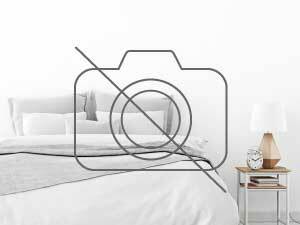 Per i brevi soggiorni, la nostra piattaforma vi permette ugualmente di cercare una camera presso l'abitante a Bouvante o un Bed and Breakfast (camera a notte) a Bouvante, in prossimità di luoghi turistici di Bouvante. In occasione di un alloggio per le vacanze a Bouvante, puoi visitare i luoghi caratteristici e passeggiare per la città. Un'altra possibilità: cerchi un alloggio in cambio di servizi a Bouvante ? Roomlala ti propone annunci di locazioni in cambio di servizi come babysitter, aiutare le persone anziane, sostegno scolastico, assistenza a domicilio, alloggio intergenerazionale, aiuto studenti, portiere, soggiorno au pair, ecc.